My preschooler has started to show interest in telling time lately. He often tells me where the hands of the clock are pointing on our analog clock and is trying to read our digital clocks, too. 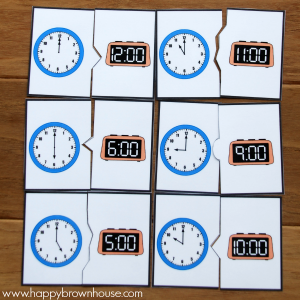 To help introduce telling time to the hour I’ve made some self-correcting Clock Puzzles for him to play with. I will introduce these and practice with him first by using a clock for him to manipulate and move the hands. 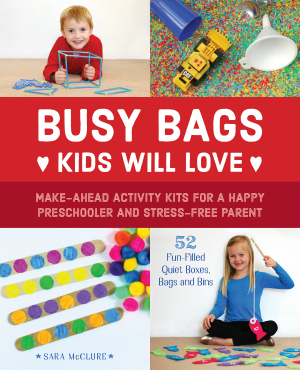 Then, I will let him play with the puzzles as a busy bag. 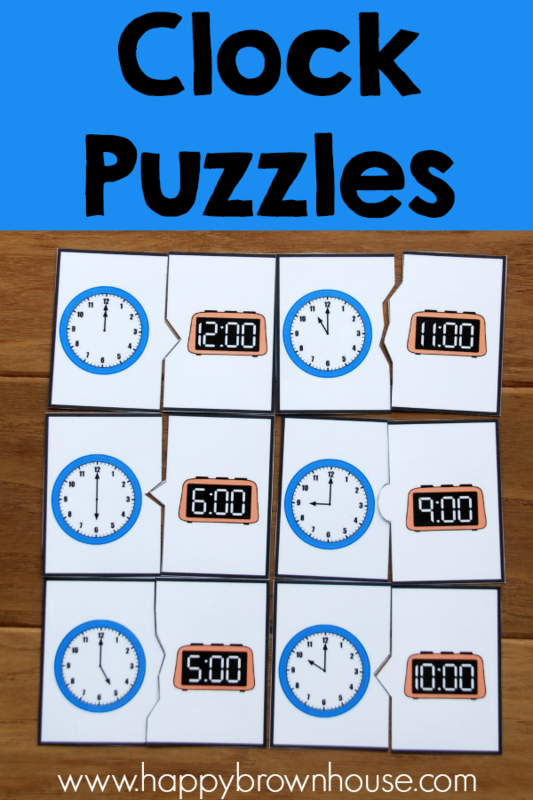 To prepare this busy bag, purchase, download, and print the printable clock puzzles. Laminate and cut them apart. Now it’s time to play! To introduce time, I always use a toy clock. I explain that the long hand is for minutes and the short hand is for the hour. Then, I show them that when the long hand is pointing at 12, it means “o’clock”. After that, I usually go around the clock starting with one o’clock and working my way around the clock until I reach twelve o’clock, having the child say the numbers with me. After we’ve gone around the clock, I have them play with the clock by telling them to move the hand to different numbers and practicing saying the time. After that, I may say “Show me 3 o’clock” or let them choose the time to make. We spend a lot of time playing with the clock until I feel they understand the concept. I reinforce this several days in a row by playing with the toy clock and repeating the steps if needed. 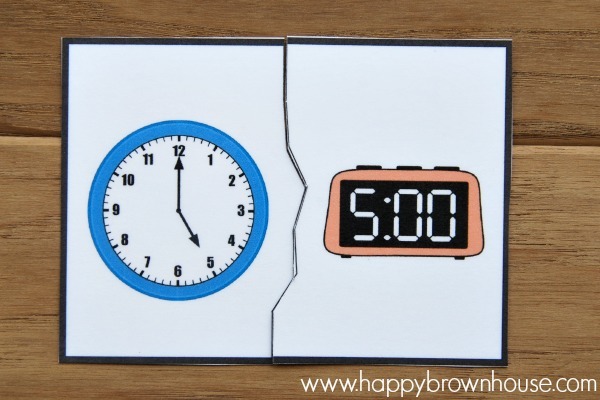 Buy the printable clock puzzles in my blog shop for instant access.